Heading south for the winter - with a mustache. Had a fun conversation with my 4 year old the other day about birds going south for the winter. We talked about how they pack their suitcases with food, clothes, and beach toys. 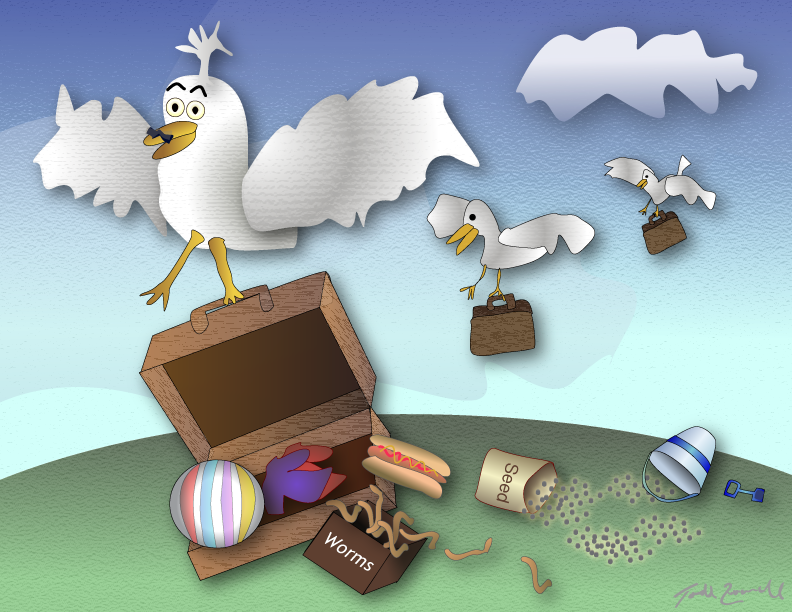 I thought I'd do an illustration..
Oh yeah - he insisted the bird has a mustache - who am I to argue?